Transfer to Istanbul bus station(otogar). Night bus to Safranbolu . After arriving in the morning , you will be met at the bus terminal and transferred to Hotel that is an old Ottoman house restorated recently and turned into a guesthouse . 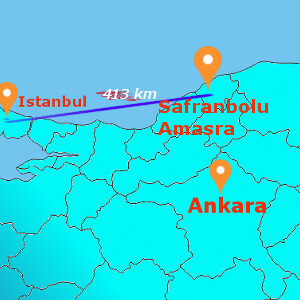 Optional tours of Incekaya Aqueduct and Canyon . Overnight in Safranbolu . Breakfast served at the hotel. 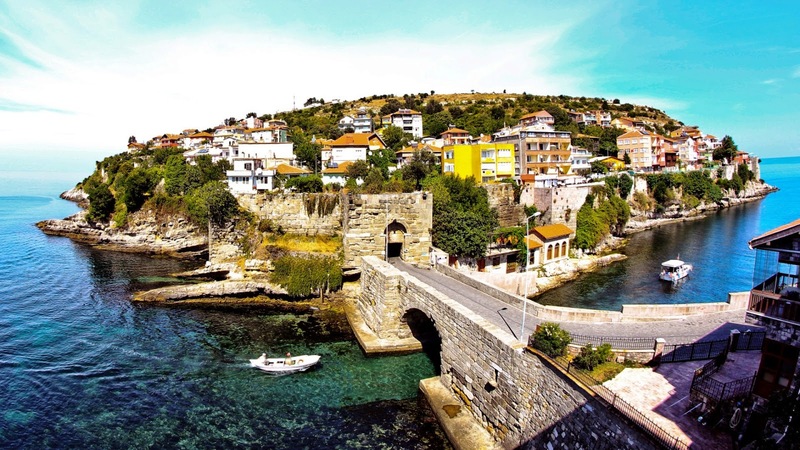 After breakfast you will depart from your hotel to Amasra , a beautiful 1 hour scenic drive through the mountains and little villages , Amasra is a pretty little town and it has fairly long beaches with its two bays . After arriving transfer to Hotel and free time to discover around . You can hire a boat and get a 40 minutes ride on the boat looking over the old city and castle . Overnight in Amasra . Breakfast served at the hotel. After check out transfer to Istanbul by bus .